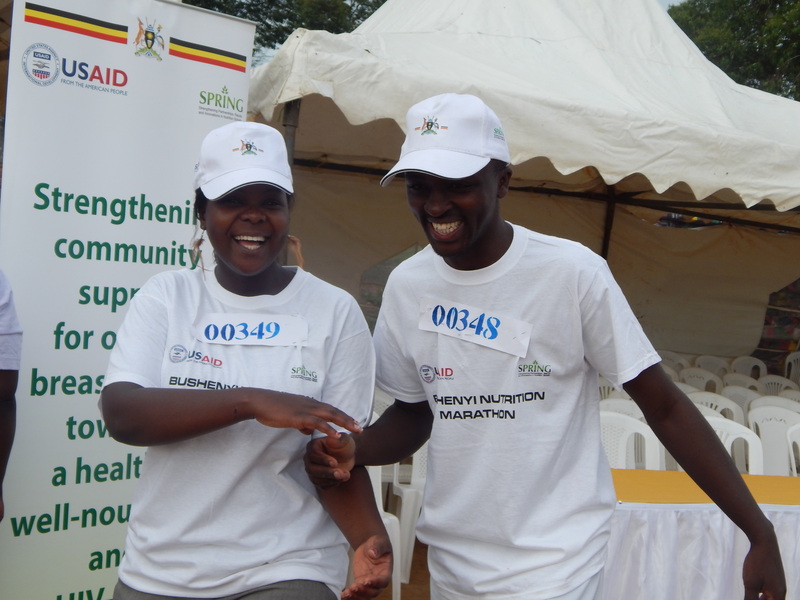 The first ever Bushenyi Nutrition Marathon took place on Saturday, November 30th, 2013, with enthusiasm and hope for Uganda’s future from start to finish. 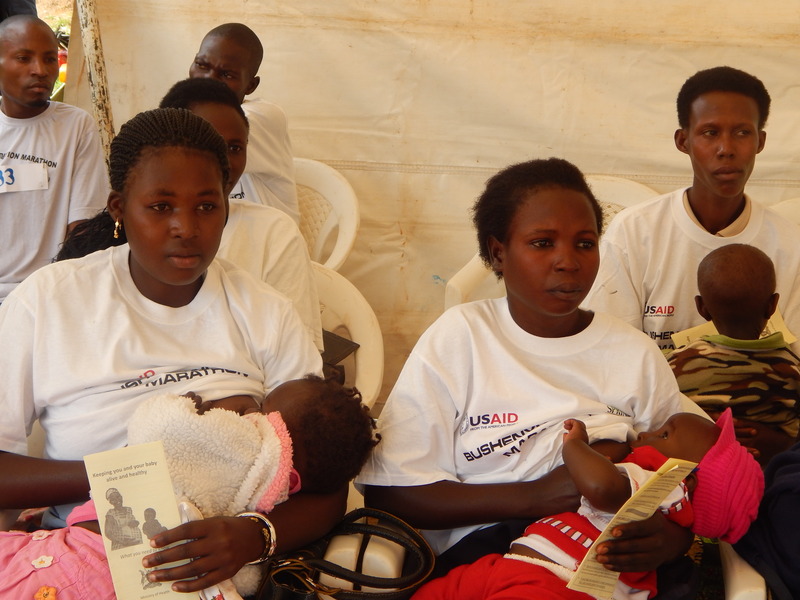 Breastfeeding mothers took part in the marathon event and received nutrition tips from experts. 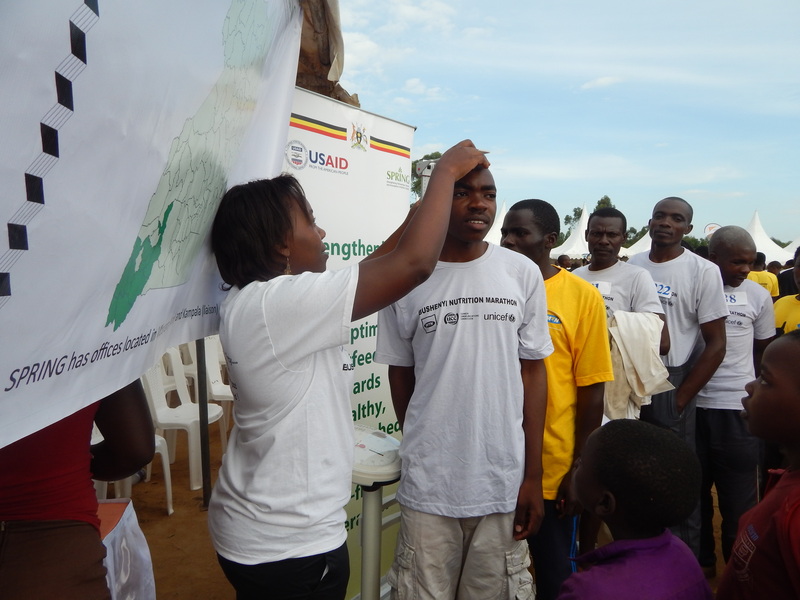 Running for more than just awareness—running for fun! 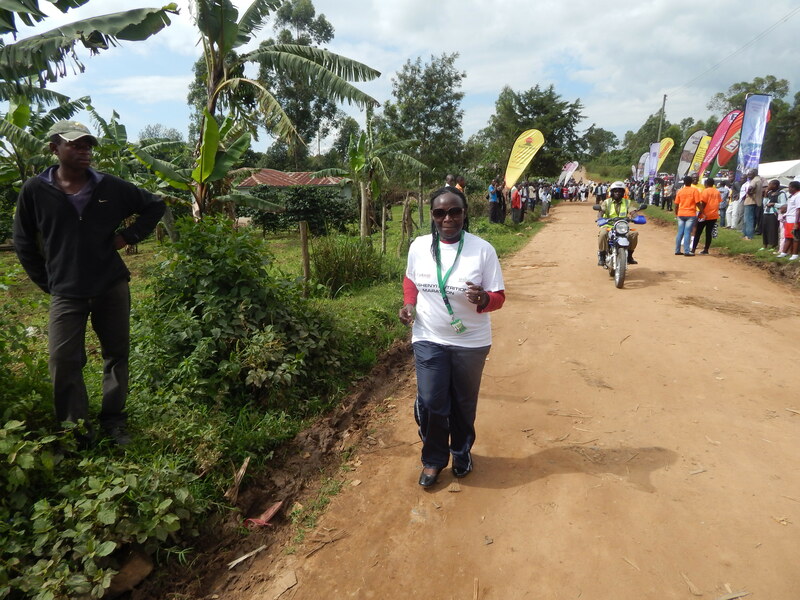 SPRING Country Manager, Margaret Kyenkya, running in the marathon. 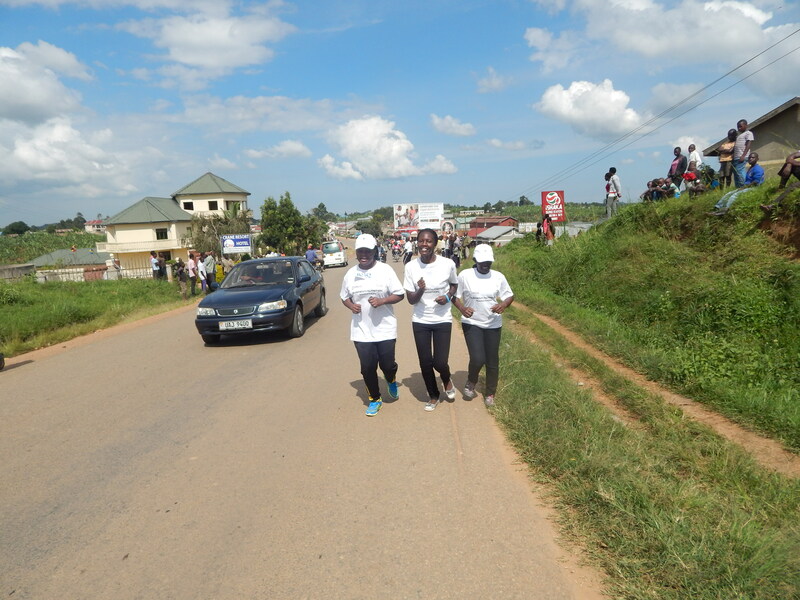 Either she is very far ahead or trailing behind! 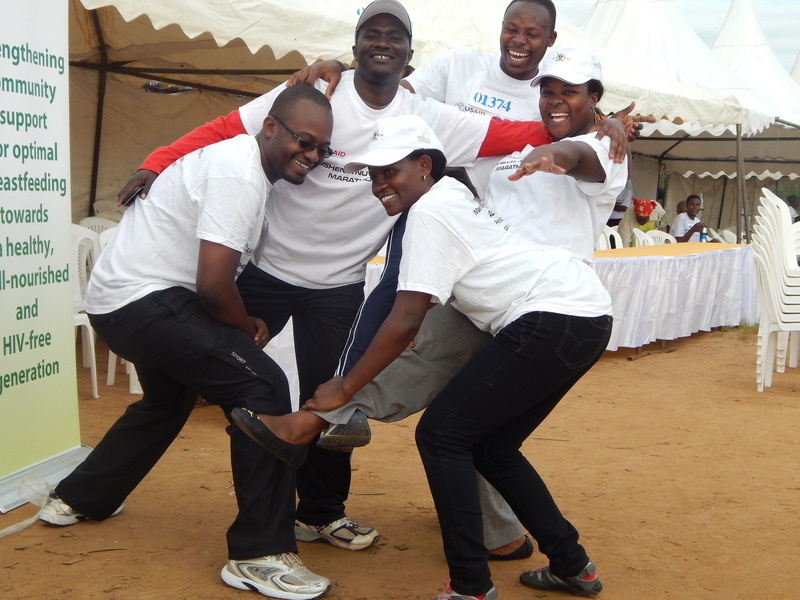 Other SPRING staff running in the marathon. 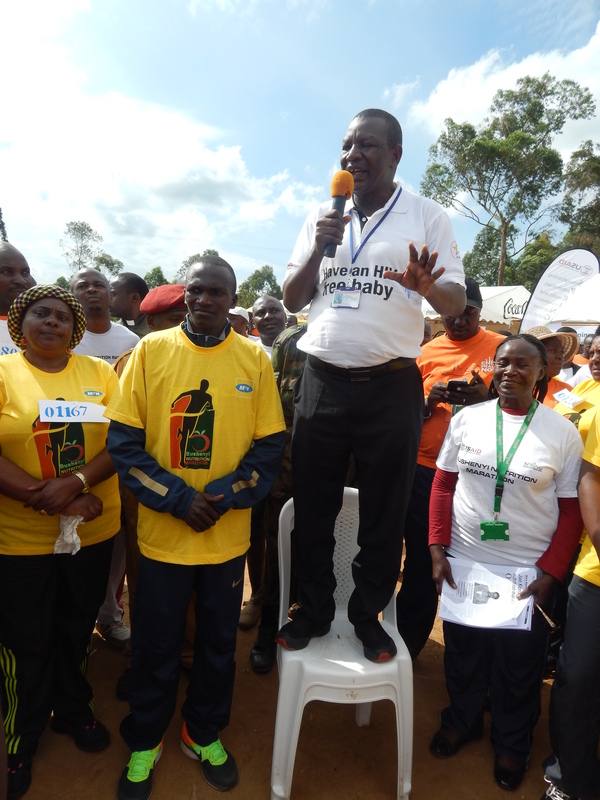 Leaders, including Steven Kiprotich, shared key nutrition messages with the crowds. 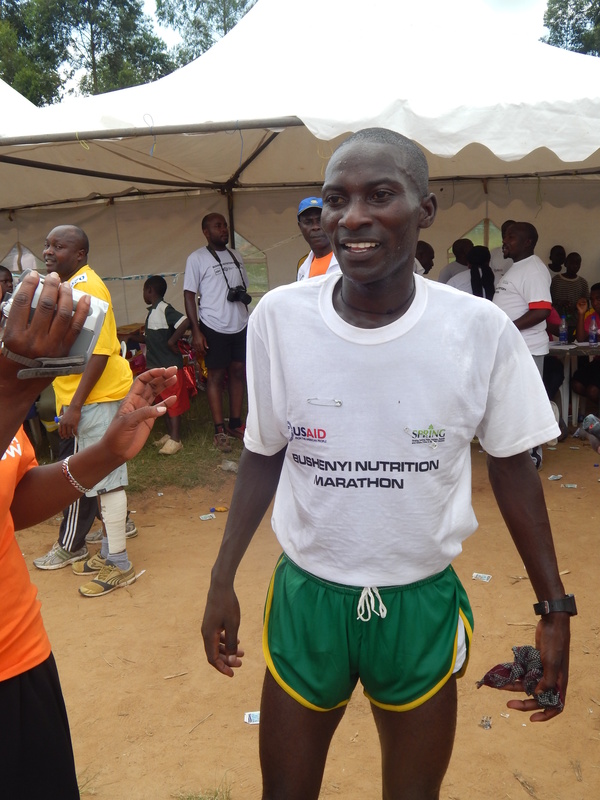 The winner of the 1st Bushenyi Nutrition 21km, proudly dressed in SPRING-provided T-shirt! 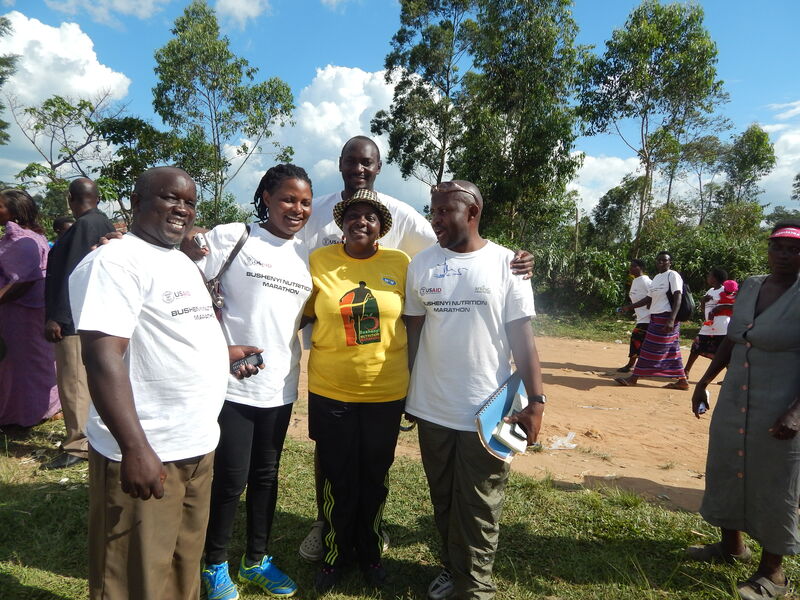 SPRING staff enjoy a moment with the Honerable Karoro Okurut, the Minister of Gender.